Dr Vittorio received his Master Degree in Biology with Honours from the University of Pisa in 2006. In February 2011 he was awarded his PhD from the Department of Oncology, Transplants and New Technologies in Medicine at the University of Pisa, Italy. He developed and tested novel nano-vectors, based on carbon nanotubes functionalized with siRNA and chemotherapies for cancer treatment. In particular he studied the ideal combination of nanoparticles and drugs in order to increase their activity without additional side effects. Dr Vittorio’s track record reflects research excellence as an early career scientist with 46 peer-reviewed publications (12 as first and corresponding author) with an H factor of 13. He has authored 5 book chapters and he is co-inventor on 4 patents. Dr Vittorio joined Australian Centre for Nanomedicine in 2013 when he was awarded a highly competitive Vice Chancellor’s Postdoc Research Fellowship from UNSW to conduct his research at Children Cancer Institute of Australia under the mentoring of Prof. Kavallaris. 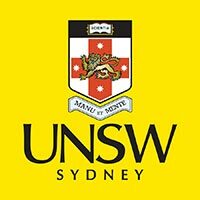 His investigations at UNSW are focused on the development of innovative strategies for the treatment of neuroblastoma and glioblastoma with nano-modified natural antioxidants. His career successes include receiving the 2008 Rotary/Lions club prize “For Innovative research” and in August 2013 the Kids’Cancer Project Award for “Outstanding Cancer Research”. In January 2014, his achievements and research potential were further recognized by the awarding of an Early Career Fellowship from the Cancer Institute NSW to study the effect of metal ion nanoparticles functionalized with natural flavonoids for the treatment of glioblastoma. The total funding received for this research was $599k AUD over a three-year period (2014-2017). 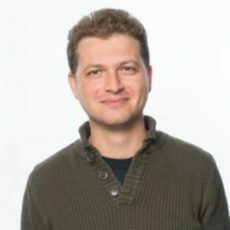 Dr Vittorio is reviewer for many international journals such as Nanomedicine UK, Nanomedicine NBM, Integrative Biology, Pharmaceutical Research and RSC Advances. Since the 2011, he is member of the editorial board of the Journal of Nanomedicine & Biotherapeutic Discovery. Since 2014, he is member of the Program/Abstract Committee for the International NanoMedicine Conference, a yearly meeting organized by the Australian Centre for NanoMedicine.